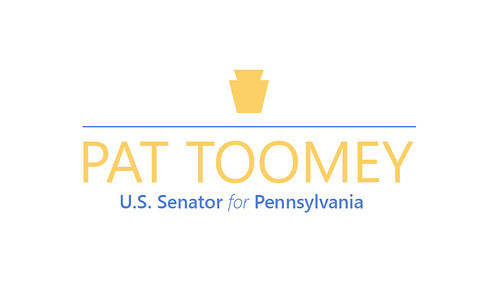 "Mr. Porter has the intellect, temperament, and legal experience to be an outstanding judge," said Senator Toomey. "For over 25 years, Mr. Porter been one of the preeminent attorneys in Western Pennsylvania while working in both the private and public sectors. Most importantly, Mr. Porter understands that the proper role of a judge in America's constitutional system is to apply the law as written and to treat everyone who comes before him equally, not to impose his policy preferences from the bench." David Porter is a shareholder with the Pittsburgh office of Buchanan Ingersoll & Rooney PC, where for the last 23 years his practice has focused on complex commercial and constitutional litigation, and regulatory matters. Prior to joining Buchanan Ingersoll & Rooney, Mr. Porter spent two years as a law clerk to current Chief Judge D. Brooks Smith of the U.S. Court of Appeals for the Third Circuit, while he was serving as a U.S. District Judge for the Western District of Pennsylvania. Mr. Porter is involved in numerous professional service organizations. He is an elected member of the American Law Institute, has chaired the Federal Court and Civil Litigation Sections of the Allegheny County Bar Association, and has served on the Pennsylvania State Advisory Committee of the U.S. Commission on Civil Rights. Mr. Porter earned his B.A. from Grove City College and his J.D. from the George Mason University School of Law.